Many people believe that a microwave can’t be repaired once if it stops working properly. This is far from true! Our team of microwave repair technicians can fix many issues, from a broken interior light to a microwave that stops getting hot. Is It Cheaper to Replace or Repair my Microwave? A new microwave can cost anywhere from $350 – $600. Additionally, microwaves often cannot be disposed of like regular household trash. Some garbage dumps and recycling centers charge a fee to take microwaves, which adds to the overall cost of replacement. Repairing a microwave can cost less than $120 and extend the life of your appliance for several years. When you need expert help with your microwave, contact It Is Fixed Appliance Repair. You can request an appointment online or call (404) 407-0077. 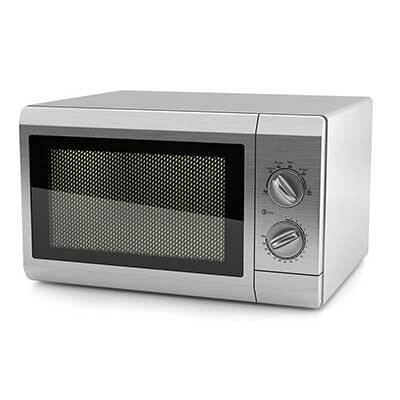 Countertop: This is the most popular type of microwave and comes in a variety of sizes, styles, and wattages. Although they are easy to purchase and install, our team is happy to help you save money with a quick, convenient repair. Built-in: These microwaves can be built into the wall, a cabinet, or connected to your stove or range. They can be more difficult to access and repair, so many companies do not want to work with this type of microwave. However, they are often the more high-end models and can be exponentially more expensive to replace. The It Is Fixed team is experienced with the repair and service of all brands of built-in microwaves. Drawer style: These microwaves save precious counter space but can be more challenging to access. Fortunately, our repair experts are familiar with drawer-style microwaves and are ready to assist with any issues you may have. Convection / Hybrid: These devices are more than just microwaves. They can bake, broil, and service a variety of other non-traditional functions that provide all the convenience of a microwave, with the taste and texture of oven-baked foods. Although they are relatively new to the market, our team has experience repairing and servicing all types of hybrid microwaves.